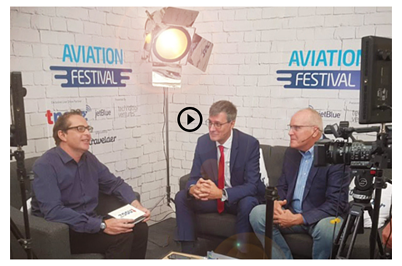 Following the announcement that Etihad Airways has selected Farelogix to power omni-channel retailing capabilities, Gilles Mascaras, Head of Product-Digital Transformation, Etihad, joined Jim Davidson, CEO, Farelogix to chat about the airline's digital transformation journey. To watch the interview (length 7m 56s) click here or the image below. To learn more about how new generation technology can enable digital transformation without the wholesale replacement of your existing technology stack, meet Farelogix at New PSS 2018 (2 - 4 October 2018, London). To book a consultation click here or the button below.